N. Beldiceanu, B. Dumas Feris, P. Gravey, M. Hasan, C. Jard, T. Ledoux, Y. Li, D. Lime, G. Madi-Wamba, J. Menaud, P. Morel, M. Morvan, M. MOULINARD, A. Orgerie, J. Pazat, O. Roux, A. Sharaiha. Towards energy-proportional Clouds partially powered by renewable energy. In Computing ; éd. Springer Verlag, 2017, vol. 99, num. 1. F. Alvares, E. Rutten, L. Seinturier. A Domain-specific Language for The Control of Self-adaptive Component-based Architecture. In Journal of Systems and Software ; éd. Elsevier, 2017. S. Martinez, M. Tisi, R. Douence. Reactive Model Transformation with ATL. In Science of Computer Programming ; éd. Elsevier, 2017, vol. 136. M. Hasan, F. Alvares, T. Ledoux, J. Pazat. Investigating Energy Consumption and Performance Trade-off for Interactive Cloud Application. In IEEE Transactions on Sustainable Computing ; éd. IEEE, 2017, vol. 2, num. 2. H. Coullon, J. Bigot, C. Pérez. Extensibility and Composability of a Multi-Stencil Domain Specific Framework. In International Journal of Parallel Programming ; éd. Springer Verlag, 2017. G. Gilbert. Formalising Real Numbers in Homotopy Type Theory. In 6th ACM SIGPLAN Conference on Certified Programs and Proofs, janvier 2017, Paris, France. S. Boulier, P. Pédrot, N. Tabareau. The next 700 syntactical models of type theory. In Certified Programs and Proofs (CPP 2017), janvier 2017, Paris, France. T. Nguyen, A. Lebre. Virtual Machine Boot Time Model. In PDP 2017 - 25th Euromicro International Conference on Parallel, Distributed and Network-based Processing, mars 2017, St Peterbourg, Russie. Y. Li, A. Orgerie, J. Menaud. Balancing the use of batteries and opportunistic scheduling policies for maximizing renewable energy consumption in a Cloud data center. In PDP 2017 - 25th Euromicro International Conference on Parallel, Distributed, and Network-Based Processing, mars 2017, St Petersburg, Russie. S. Dupont, S. Bouri, F. Alvares De Oliveira, T. Ledoux. ElaScript: a DSL for Coding Elasticity in Cloud Computing. In 32nd ACM Symposium on Applied Computing - Track on Cloud Computing, avril 2017, Marrakech, Maroc. A. Lebre, J. Pastor, A. Simonet, F. Desprez. Revising OpenStack to Operate Fog/Edge Computing infrastructures. In IEEE International Conference on Cloud Engineering, avril 2017, Vancouver, France. J. Lejeune, F. Alvares, T. Ledoux. Towards a generic autonomic model to manage Cloud Services. In The 7th International Conference on Cloud Computing and Services Science (CLOSER 2017), avril 2017, Porto, Portugal. M. Albonico, J. Mottu, G. Sunyé, F. Alvares. Making Cloud-based Systems Elasticity Testing Reproducible. In 7th International Conference on Cloud Computing and Services Science, avril 2017, Porto, Portugal. R. Pottier, J. Menaud. Privacy-Aware Data Storage in Cloud Computing. In International Conference on Cloud Computing and Services Science (CLOSER), avril 2017, Porto, Portugal. B. Confais, A. Lebre, B. Parrein. An Object Store Service for a Fog/Edge Computing Infrastructure based on IPFS and Scale-out NAS. In 1st IEEE International Conference on Fog and Edge Computing - ICFEC’2017, mai 2017, Madrid, Espagne. R. Cherrueau, D. Pertin, A. Simonet, A. Lebre, M. Simonin. Toward a Holistic Framework for Conducting Scientific Evaluations of OpenStack. In The 17th IEEE/ACM International Symposium on Cluster, Cloud and Grid Computing (CCGRID), mai 2017, Madrid, Espagne. Y. Li, A. Orgerie, I. Rodero, M. Parashar, J. Menaud. Leveraging Renewable Energy in Edge Clouds for Data Stream Analysis in IoT. In CCGrid 2017 - IEEE/ACM International Symposium on Cluster, Cloud and Grid Computing, mai 2017, Madrid, Espagne. A. Zhou, S. Ibrahim, B. He. On Achieving Efficient Data Transfer for Graph Processing in Geo-Distributed Datacenters. In ICDCS'17- The 37th IEEE International Conference on Distributed Computing Systems (ICDCS 2017), juin 2017, Atlanta, états-Unis. Y. Taleb, S. Ibrahim, G. Antoniu, T. Cortes. Characterizing Performance and Energy-Efficiency of The RAMCloud Storage System. In The 37th IEEE International Conference on Distributed Computing Systems (ICDCS 2017), juin 2017, Atlanta, états-Unis. P. Pédrot, N. Tabareau. An Effectful Way to Eliminate Addiction to Dependence. In Logic in Computer Science (LICS), 2017 32nd Annual ACM/IEEE Symposium on, juin 2017, Reykjavik, Islande. F. Alvares, G. Delaval, E. Rutten, L. Seinturier. Language Support for Modular Autonomic Managers in Reconfigurable Software Components. In SeAC 2017 - 2nd Workshop on Self-Aware Computing @ ICAC’17, juillet 2017, Colombus, états-Unis. Y. Hebbal, L. Sylvie, J. Menaud. Hidden Process Detection using Kernel Functions Instrumentation. In IEEE Conference on Dependable and Secure Computing (DSC), août 2017, Taiwan, Taïwan. Y. Hebbal, L. Sylvie, J. Menaud. K-binID: Kernel Binary Code Identification for Virtual Machine Introspection. In IEEE Conference on Dependable and Secure Computing (DSC), août 2017, Taiwan, Taïwan. H. Coullon, D. Pertin, C. Pérez. Production Deployment Tools for IaaSes: an Overall Model and Survey. In The IEEE 5th International Conference on Future Internet of Things and Cloud (FiCloud), août 2017, Prague, République tchèque. M. Abderrahim, M. Ouzzif, K. Guillouard, J. Francois, A. Lebre. A Holistic Monitoring Service for Fog/Edge Infrastructures: a Foresight Study. In The IEEE 5th International Conference on Future Internet of Things and Cloud (FiCloud 2017), août 2017, Prague, République tchèque. N. Berthier, F. Alvares, H. Marchand, G. Delaval, E. Rutten. Logico-numerical Control for Software Components Reconfiguration. In CCTA 2017 - IEEE Conference on Control Technology and Applications, août 2017, Mauna Lani, HI, états-Unis. T. Phan, S. Ibrahim, A. Zhou, G. Aupy, G. Antoniu. Energy-Driven Straggler Mitigation in MapReduce. In Euro-Par'17 - 23rd International European Conference on Parallel and Distributed Computing, août 2017, Santiago de Compostela, Espagne. O. Yildiz, A. Zhou, S. Ibrahim. Eley: On the Effectiveness of Burst Buffers for Big Data Processing in HPC systems. In Cluster'17-2017 IEEE International Conference on Cluster Computing, septembre 2017, Hawaii, états-Unis. G. Madi Wamba, Y. Li, A. Orgerie, N. Beldiceanu, J. Menaud. Cloud workload prediction and generation models. In SBAC-PAD: International Symposium on Computer Architecture and High Performance Computing, octobre 2017, Campinas, Brésil. M. Bazm, M. Lacoste, M. Südholt, J. Menaud. Side-Channels Beyond the Cloud Edge : New Isolation Threats and Solutions. In CSNet 2017 : 1st Cyber Security in Networking Conference, octobre 2017, Rio de Janeiro, Brésil. H. Coullon, J. Noyé. Reconsidering the Relationship between Cloud Computing and Cloud Manufacturing. In SOHOMA 2017, octobre 2017, Nantes, France. W. Benghabrit, J. Royer, A. De Oliveira. Towards the Specification of Natural Language Accountability Policies with AccLab: The Laptop Policy Use Case. In PRIMA 2017 The 20th International Conference on Principles and Practice of Multi-Agent Systems CARe-MAS workshop, octobre 2017, Nice, France. M. Hasan, F. Alvares De Oliveira Jr., T. Ledoux. GPaaScaler: Green Energy aware Platform Scaler for Interactive Cloud Application. In IEEE/ACM International Conference on Utility and Cloud Computing, décembre 2017, Austin, états-Unis. G. Madi Wamba, Y. Li, A. Orgerie, N. Beldiceanu, J. Menaud. Green energy aware scheduling problem in virtualized datacenters. In ICPADS 2017, décembre 2017, Shenzen, Chine. H. Coullon, G. Le Louët, J. Menaud. Virtual Machine Placement for Hybrid Cloud using Constraint Programming. In ICPADS 2017, décembre 2017, Shenzhen, Chine. S. Boulier, P. Pédrot, N. Tabareau. Modèles de la théorie des types donnés par traduction de programme. In 28ièmes Journées Francophones des Langages Applicatifs, janvier 2017, Gourette, France. B. Confais, A. Lebre, B. Parrein. An object store for Fog infrastructures based on IPFS and a Scale-Out NAS. In RESCOM 2017, juin 2017, Le Croisic, France. Y. Hebbal, L. Sylvie, J. Menaud. K-binID : Identification de code binaire noyau à des fins d’introspection de machine virtuelle. 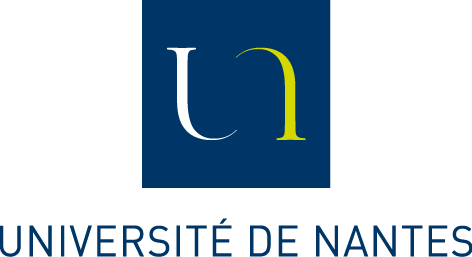 In Conférence d’informatique en Parallélisme, Architecture et Système (ComPAS), juin 2017, Sophia Antipolis, France. D. Saucez, A. Lebre, S. Secci. RESCOM 2017 Summer school. 23-06-2017 Le Croisic ; France. A. Lebre. Contributions to Large-scale Distributed Systems The infrastructure Viewpoint - Toward Fog and Edge Computing as The Next Utility Computing Paradigm?. M. Hasan. Smart management of renewable energy in clouds : from infrastructure to application. Thèses : INSA de Rennes. Y. Li. Resource allocation in a Cloud partially powered by renewable energy sources. Thèses : Ecole nationale supérieure Mines-Télécom Atlantique. W. Benghabrit. A formal model for accountability. Thèses : Ecole nationale supérieure Mines-Télécom Atlantique. G. Daniel. Efficient persistence, query, and transformation of large models. Thèses : Ecole nationale supérieure Mines-Télécom Atlantique. T. Coq Development Team. The Coq Proof Assistant, version 8.7.1.